It happened slowly at first. Thread by thread, the fabric of privilege and complacency enveloping the Wyndham family began to unravel. A carefree summer at their island house, disrupted by the arrival of long lost kin, ended in tragedy, betrayal, and war. Now, in the compelling sequel to the acclaimed epic, The Summer Before The Storm, Ria and her friends find themselves at the mercy of forces beyond their control. It's late summer, 1916. While some members of the Wyndham family revel in the last resplendent days of the season at their Muskoka cottage, others continue to be drawn inexorably into the Great War, going from a world of misty sunrises across a tranquil lake to deadly moonlight bombing raids, festering trenches, and visceral terror. For Ria, too many things have happened to hope that life would ever return to normal, that innocence could be regained. Caught in a vortex of turbulent events and emotions, she abandons the safety of the sidelines in Britain for the nightmare of France. Her fate as an ambulance driver remains entwined with those of her summer friends, all bound by a sense of duty. Living in the shadows of fear and danger awakens the urgency to grasp life, to live more immediately, more passionately amid the enormity of unprecedented death. Together, their lives weave a tale of liberation and loss, evolution and redemption. Those who survive this cataclysmic time are forever changed, like Canada itself.Impeccably researched, beautifully written, Elusive Dawn will resonate with the reader long after the final page has been turned. 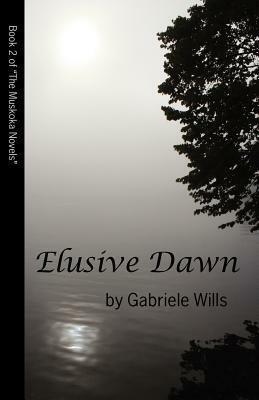 Elusive Dawn by Gabiele Wills is the second book in The Muskoka Novels. This book once again follows the lives of the Wyndham family and their friends. In the first book, The Summer Before The Storm, the story ended with Ria finding out that her husband had not only had an affair but had also fathered a child with a french woman. Ria is heartbroken. Elusive Dawn picks up with Ria grieving over her husband's unfaithfulness. She's feeling restless and useless and decides to join WATS, which is the Women's Ambulance and Transport System. Ria is close to the front line, but she's not only in mortal danger, she's also in danger of losing her heart to the handsome Major Lance Chadwick. When the last book ended I was on the edge of my seat. This book picked up where the last left off with only a little lapse in time. The tempo of this book is a little more fast paced than the last book. There is a lot of action going on with the war and such. Wills writes her characters in such a way that you literally feel like you're on this journey with them. There are a plethora of characters, but it is not at all confusing. I must admit though, I have my favorites. I was glad to see them all again, but perhaps I should warn you not to get too attached. 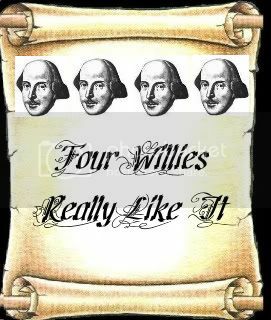 Wills does have to kill off a few. After all it is a war. The second book in this series is fantastic. It's fast paced, full of action, and of course there is no shortage of romance. The more of the Muskoka novels I read, the more enraptured I become. I can't wait to read the next book in the series, Under The Moon. I'm so glad you enjoyed the book, Marcie! Thanks for taking part in the tour. I'm glad you enjoyed Elusive Dawn so much! I loved all 3 books.